Carolyn H. Reed, 92, of Noblesville, passed away on Saturday, February 9, 2019 at Riverview Health in Noblesville. She was born on September 13, 1926 to Roy and Esther (Brigman) Hayes in Lexington, Kentucky. Carolyn was a graduate of Henry Clay High School and received a bachelor's degree in mathematics from the University of Kentucky in 1946. 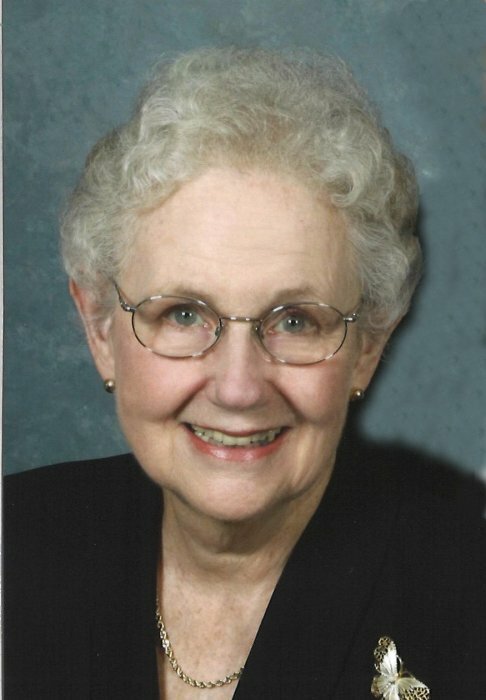 She was a wife and mother, and after moving to Noblesville, worked for Von Holten Corp. Carolyn was a member of First Presbyterian Church of Noblesville, the Daughters of the American Revolution, and a life-long member of Homemakers and the P.E.O. Sisterhood. She was an avid bridge player and gardener. Carolyn is survived by her husband, Alexander "Bud" Clarke Reed, Jr.; daughters, Gayle Reed Tabor and Susan R. (Tom) Wright; son, Marshel H. Reed, Sr.; daughter-in-law, Sandra Reed; eight grandchildren, Beth T. Larkins, Alexander (Alex) Reed IV, Justin Tabor, Rachel Reed, M. Hayes Reed II, Reed Tabor, McKennan Wright and Joseph Reed; and five great-grandchildren. In addition to her parents, she was preceded in death by her son, Alexander Clarke Reed III; and son-in-law, Jerry Tabor. Services will be held at 3:30 pm on Saturday, February 23, 2019 at Randall & Roberts Funeral Center, 1685 Westfield Road in Noblesville, with visitation from 2:00 pm to the time of service. Pastor Eric Gale will officiate. Memorial contributions may be made to Hamilton East Public Library, ATTN: Donna Millikan, 1 Library Plaza, Noblesville, IN 46060.